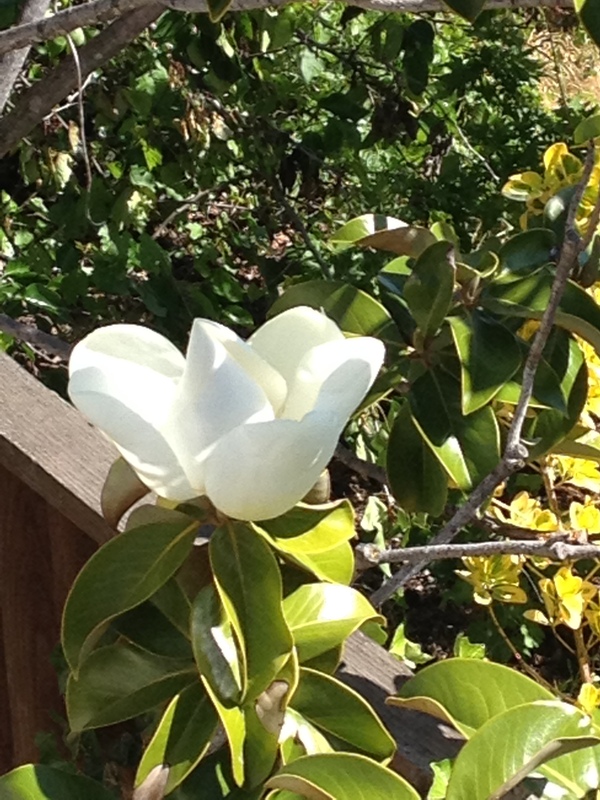 Spring Flowers for a California Setting in a drought year. Outside, years before 2015, the tree had multiple blooms. This year two. 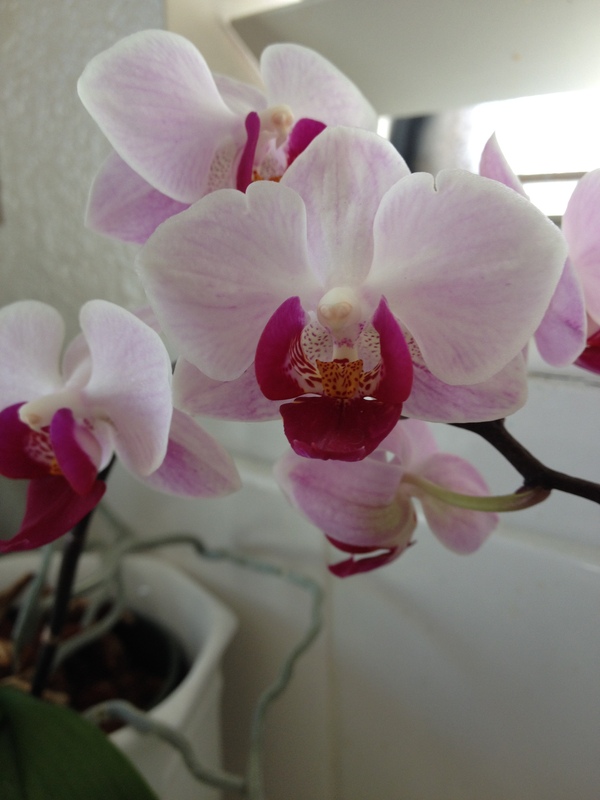 Inside downstairs: rescued orchid that stood by a neighbor’s garbage can, bloomed it’s thank you. 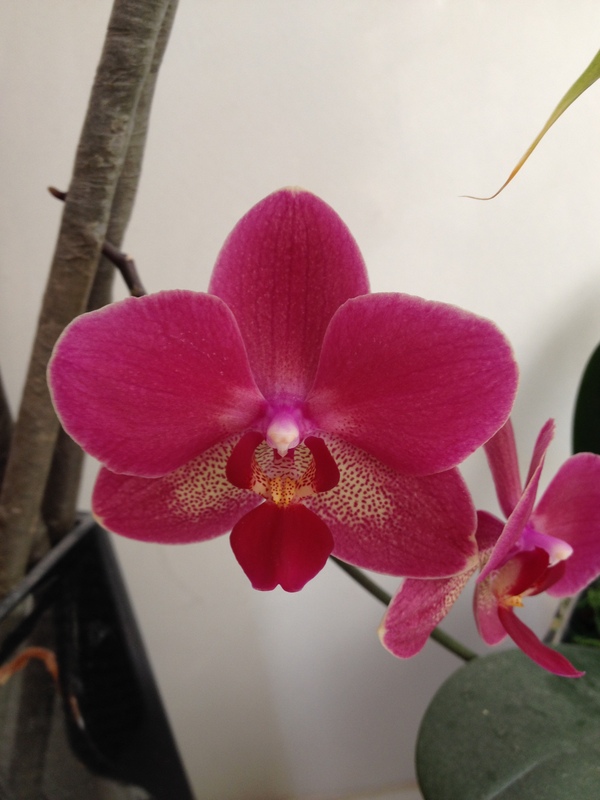 Inside upstairs: 2011 wedding gift orchid bloomed last spring and this month. Faithful flowers, I’ll share my water with you. Beautiful and so delicate and fragile. Thanks for sharing a bit of California with this ole Texas gal.